We are a leading supplier and repairer of auto electrical components, including car fuses, starters and alternators, for both trade and public clients in Suffolk, Bury St Edmunds and the surrounding area of East Anglia. Our proprietor, Barry Bloomfield has over 26 years of experience in the auto electrical trade and continues to offer his undisputed expertise and advice to our clients. Specialising in the supply and reconditioning of alternators and starter motors, our services are available for all makes of car, commercial vehicle and plant machinery. Additionally, we have invested in the latest technology in order to undertake auto electrical fault diagnosis, identifying and rectifying a problem both quickly and efficiently and putting you back on the road. 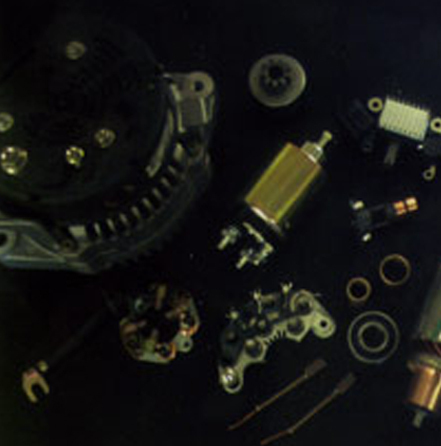 If you are in search of an elusive auto electrical component, our collection includes everything from solenoids and fuses to brushes and regulators. We are proud stockists of Durite, Cargo and Eurolec products and take pride in offering a quality service to our loyal clients. Our enviable reputation in Bury St Edmunds and East Anglia is something we are very proud of and strive to maintain. Our premises are suitable for disabled access and convenient car parking is available. All major credit and debit cards are accepted. If you would like to find out more about the services we provide and how we could help you, why not get in touch today? © 2019 Car Electrics All rights reserved.